Put a big fat tick alongside 'Dirt Wars Survivor' on my bucket list. I was either working... not fit enough....or didn't get organised. This year it just fell into place... so when Rose my gym instructor asked if I would be keen I jumped at the chance. We had an awesome team of 4...and I cant thank Rose..Jade and Toni enough for making it the best experience possible. 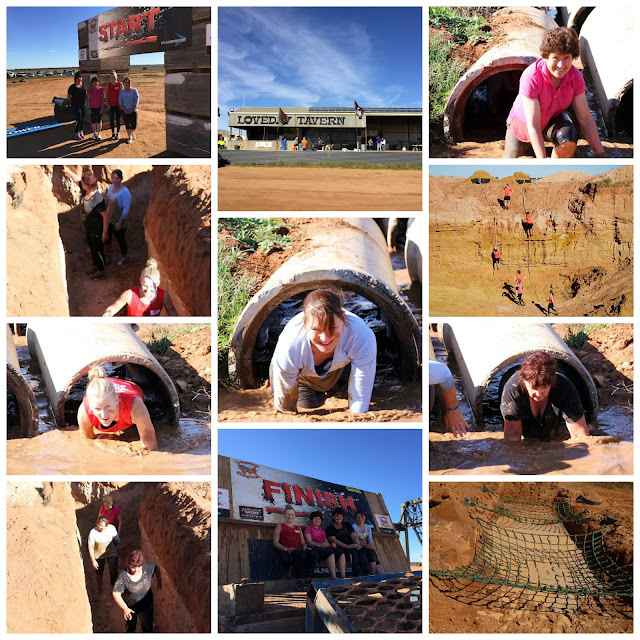 and there were 75 obstacles... when we arrived at 10 am it was 10 deg!! The very first obstacle launched us into a mud channel up to our waists.... that set the scene for the day...we were cold... covered in mud and I had hysterical giggles. and I am pretty sure we would all do it again another year. There was some great footage added to the Dirt Wars Survivor Facebook page too..